Great service and super clean rooms! The location is excellent: close to the beach, close to all the bars and clubs. You will find a lot of shops all around the place. The apartment is spacious and it has almost everything you would need. It's was very clean and near everything but nice a quiet. Friendly staff and good location. Flat was clean and very spacious. New clean and spatious apartments, very convenient location close to the airport. We especially want to mention Paco on reception. He couldn't have been nicer. He gave us great advice on the restaurants that the locals frequent, none of which are near the seafront. And we really enjoyed them. Lock in a great price for Apartamentos Tres Torres – rated 8.9 by recent guests! 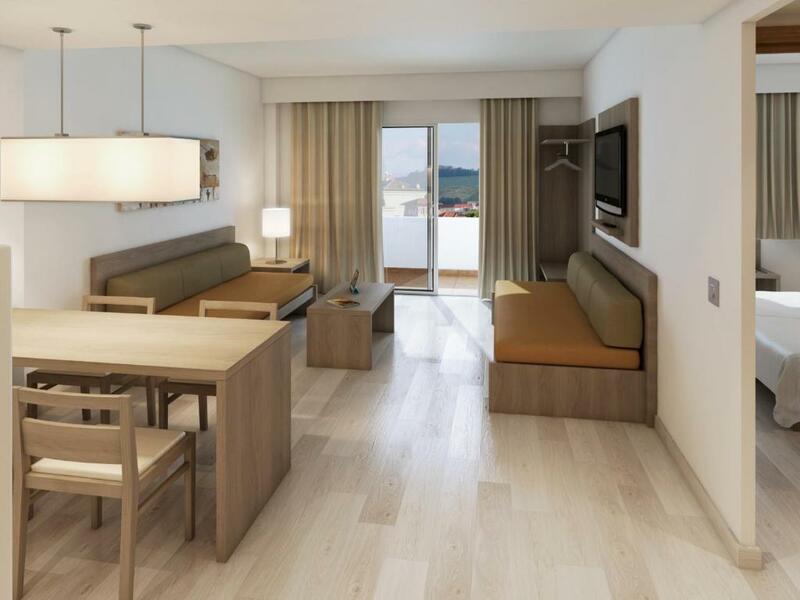 Apartamentos Tres Torres This rating is a reflection of how the property compares to the industry standard when it comes to price, facilities and services available. It's based on a self-evaluation by the property. Use this rating to help choose your stay! 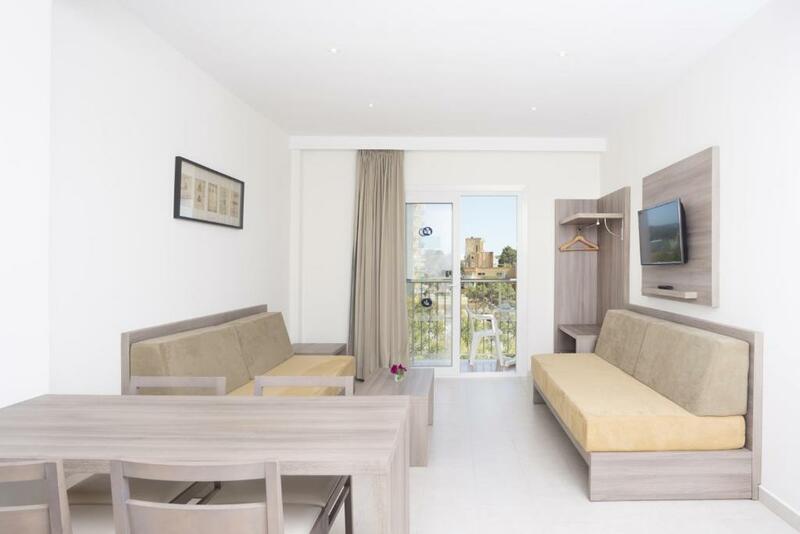 One of our top picks in Playa de Palma.Just 650 feet from Majorca’s Playa de Palma Beach, Apartamentos Tres Torres are set around an outdoor pool and gardens. 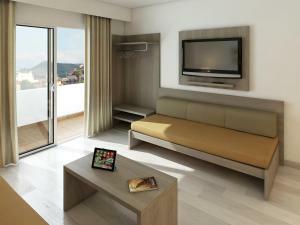 Each apartment offers a balcony and free Wi-Fi. 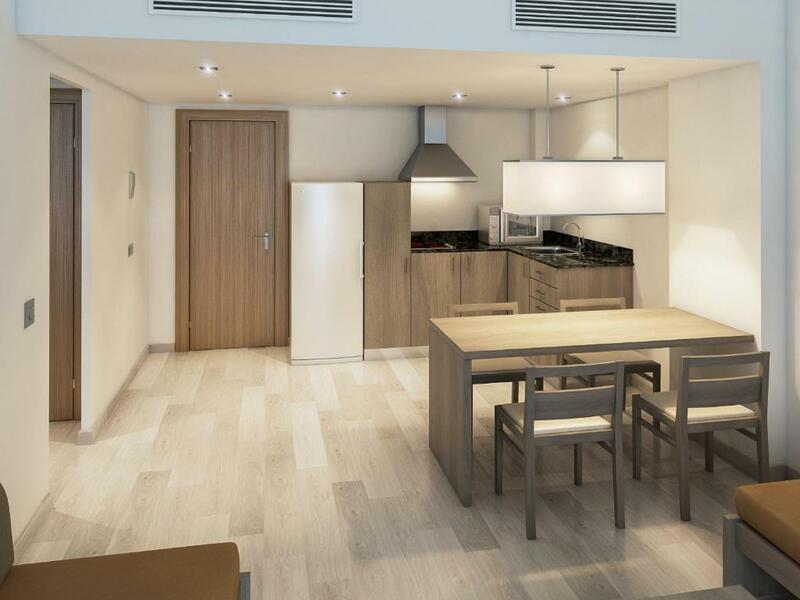 The Tres Torres Apartments are in the quiet Ses Cadenes area of Palma Beach, between S’Arenal and Las Maravillas. Palma city center is around 7.5 mi away and Palma Airport is within 3.1 mi. Tres Torres offers spacious apartments with a living-dining area and separate kitchen. All apartments include a fan, satellite TV, fridge and kettle. The Tres Torres reception is open 24 hours a day during summer, and offers currency exchange and a tour desk. The complex’s poolside snack bar opens all day serving breakfast, lunch and snacks. Guests can enjoy watching sporting events on the bar’s large TV screens. 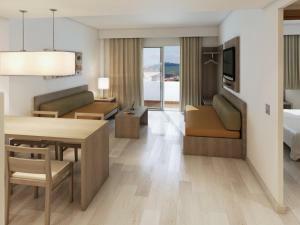 When would you like to stay at Apartamentos Tres Torres? This apartment features a living room with a satellite TV, a kitchen and a private bathroom. There is also a balcony. Our apartments were renovated in March 2015. 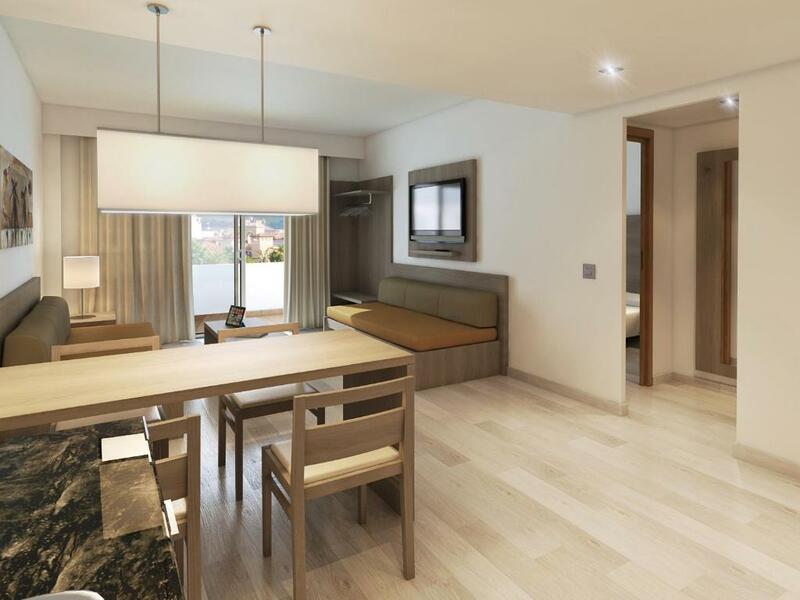 House Rules Apartamentos Tres Torres takes special requests – add in the next step! Apartamentos Tres Torres accepts these cards and reserves the right to temporarily hold an amount prior to arrival. Please note that the reception is open 24 hours a day from May to October. Outside of these months, reception closes at 23:00 and guests are kindly requested to inform the property of their estimated time of arrival. This can be noted in the Comments Box during booking or by contacting the property using the contact details found on the booking confirmation. Please note that Wi-Fi is not available in all apartments. Guests requiring Wi-Fi access can mention this in the comments box during booking or by contacting the property using the contact details found on the booking confirmation. Please inform Apartamentos Tres Torres of your expected arrival time in advance. You can use the Special Requests box when booking, or contact the property directly using the contact details in your confirmation. Could have done with wine glasses in Appartment for a bottle of wine if needed at night. Perhaps basics like pepper, salt, tea & coffee would be nice although there was no problem in getting them from the nearby shops. The walls are quite thin so expect to hear your neighbors. The checkout was a bit slow but nothing too bad. when heating in colder months the system stops working at midnight, after that only cold air flows till 7am, better switch of AC at midnight. Everything was good. Except there should have been breakfast available even for price. The shower did not close properly and the bathroom was wet and water kept coming long afterwards. The bathroom was therefore wet most of the time. when put together, beds are sliding apart and the shower was leaking on the bathroom floor. Bedding changed only once during an 8 day stay. 3 persons staying - the 3rd person slept on a settee which had hard padding and not a mattressOtherwise clean accommodation. Staff were excellent. Very kind staff, clean apartment, kitchen had everything needed for our 5-day stay. And also hotel swimming pool was perfectly clean. Only wifi in the room was very poor (we had a corner apartment in the 2nd floor). Close to the hotel are some restaurants, small SPAR with basic equipment and food/drinks. Bus stops are approx. 200m far. 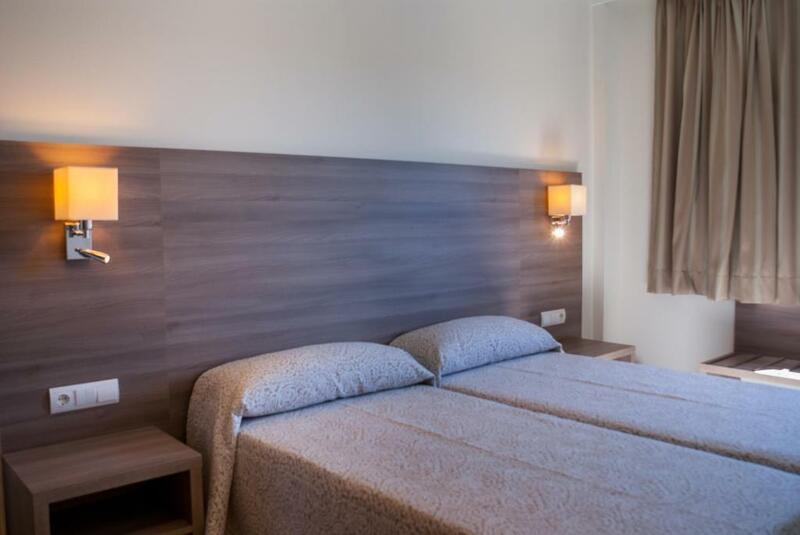 Hotel is situated near to the beach (not more than 5 minutes by slow walk) and close to the popular party place MegaPark. The location was superb and the apartment was large bright and modern. 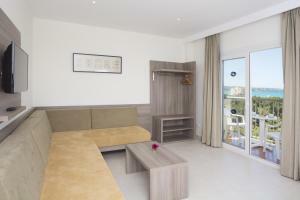 The apartment was very close to the beach and the staff were very helpful. The location of the property was a German Party hub, which was a bit annoying to have drunk Germans diving into the pool when our young family were there. However the staff would continually monitor this to ensure we weren’t inconvenienced. Staff were very friendly and couldn’t do enough to help to make our stay comfortable. Within minutes they were attending to our requests, such as extra blankets, loo rolls etc. We were located on the top floor of the property so we wouldn’t be disturbed by late night partiers, we had a peaceful sleep, no noise issues.